Is the secret to startup success “collaboration” rather than “disruption”? Rather than wait for disruption, it is increasingly becoming evident that banks are willing to support startups to innovate within the banks’ ecosystem. 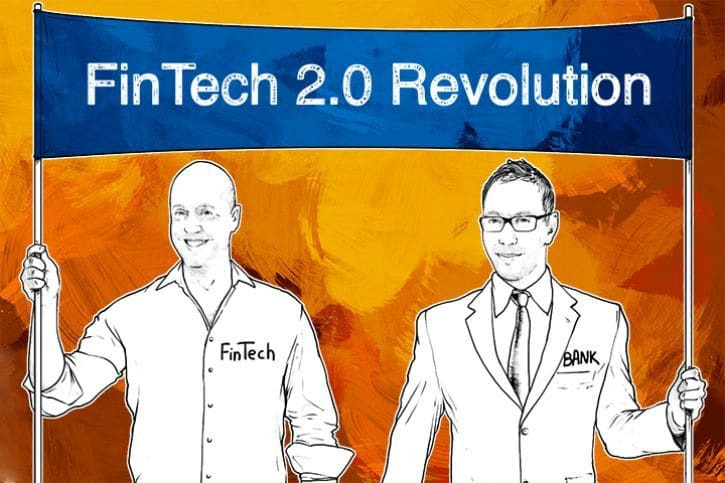 So it´s now all about FinTech 2.0 and collaboration. While FinTech 1.0 and disruption made banks stop and take notice, FinTech 2.0 is all about letting banks in and allowing them to have a stake in the space. The “FinTech 2.0 Paper: rebooting financial services” talks about how banks have now started to leverage the power of startups, which have been quicker to take advantage of advances in digital technology by developing banking products that are more user-friendly, cost effective and are optimized for digital channels. Additionally, the FinTech space is allowing banks to operate outside the strict regulatory parameters which have burdened banks especially after the financial crisis. The key however still lies in data and seamless processes. Do startups need to refocus? An interesting point brought up by FinTech 2.0 Paper is that a disproportionate number of fintechs “are today focused on the race to build standalone ‘unicorns’ (a company with a $1 Billion valuation)” instead of representing “a far broader opportunity to re-engineer the infrastructure and processes of the global financial services industry, in which the top 300 banks command a revenue pool worth $3.8 trillion”. With FinTech 2.0, the stage is set for banks to face increased competition. On the other hand, banks are under more pressure to cut costs due to the changing customer dynamics. Is it a question of startups being smarter to the realities of success in a soon to be extremely active space? Why are fintechs now capturing a growing market share, and still their overall effect on the banking market has been minor? ← Is Fintech Innovation now under threat from major Banks?